About Us: Welcome to VapeNW.com. We provide a wide range of e-Cigarette products. I'm excited to see what Smok does next. Even though the Mag 225W has been out for a while it is still one of best selling devices. I love being able to load my batteries, and have them easily come out with just the press of a button. If you haven't checked this bad boy out yet make sure to pick one up at https://vapenw.com/smok-mag-225w-right-handed. Now available in a baby 50W version with the baby prince sub ohm tank at https://vapenw.com/smok-mag-baby-kit. Hello Dear Customers and Followers, We would like to announce that our plans to expand have panned out and we will now be shipping from our new location in North Las Vegas, Nevada! All orders will be processed from our new facility from here on out. There is no reason to worry. This will not cause any interruptions in service and we will still be operating during our normal business hours. 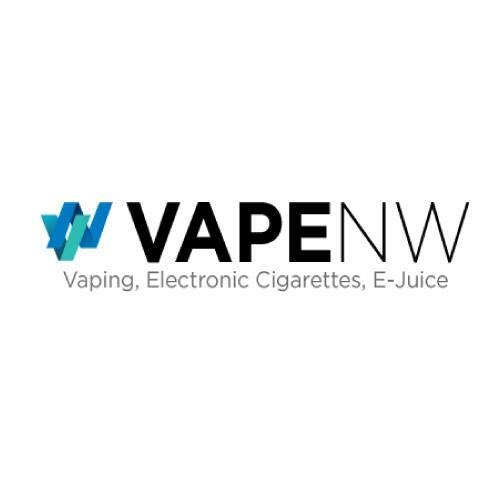 Once we have finalized the move and made all necessary changes, you will see our new address reflected across all platforms Please contact our customer service representatives at (253) 336-3718 or contact@vapenw.com for more information regarding this post. Thank you and have a wonderful day! We at VapeNW would like to apologize for the delay in Facebook responses. At this time we are only to check our messages very rarely due to not having enough associates. We do have 3 customer service options available for you. You can email us at contact@vapenw or create a ticket through your account, use our live chat at the bottom of the web page, or call us at (253)336-3718. Also, we do have a coupon available as well for anyone who would like to use it. The code is Save15% for 15% off your entire order excluding clearance. The new Naked 100 disposable E-cigarette with the same great taste as some of their most popular flavors. For when you need a vape for the go but, don't want to spend a lot. Now for sale on Vapenw.com for $7.99 a piece. With 5 different flavor choices and 300 puffs a piece it's an absolute steal. Hi Everyone, We would like to apologize for slow return rates for messages. If you need something responded to as quick as possible you can call us at (253)336-3718 or use our live chat on the bottom right hand corner of our webpage. If it is something that can be answer throughout the day please email us at contact@vapenw.com. Thank you, VapeNW customer support. 79 results, Page 1 of 8 pages.